We had the pleasure of hosting our third annual episode with Penn Ketchum and the management team at Penn Cinema. The result was a jovial round table discussion about the best/worst movies of the year, some added humor and commentary in between, and what we’re all looking forward to next at the box office. Penn talked about the process by which he decided to build the IMAX theater and the frustration he felt from naysayers along the way. 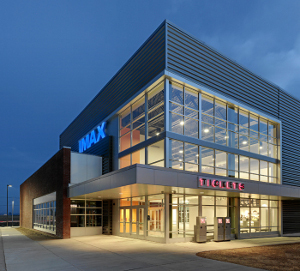 But in spite of the negative comments he received, the cinema, with the help of Warfel Construction, met their deadlines and the IMAX theatre has proven to be a success. We discussed the current trend in super hero themes and got to hear some of Penn’s ideas for events in the upcoming fall season. He even asked us what our personal choices would be for Monday Night Movies, which will most likely start back up in October. Joining us in addition to Penn were some of his crew, the folks who make it all happen; Mike Spence, Kenny Wenditz, and Sarah Neff. Thanks to all who participated and to Penn Ketchum for having us back to the cinema for yet another entertaining episode of the Lancast. I vote for Fright Night for the Monday night series.